This unique holster allow you to forget old fashioned thumb breaks that slow your draw and complicate reholstering. The patented Serpa Technology lock engages the trigger guard as you holster the pistol and won't let go until you release it. The release is made using a normal drawing motion, with the trigger finger beside the holster body. 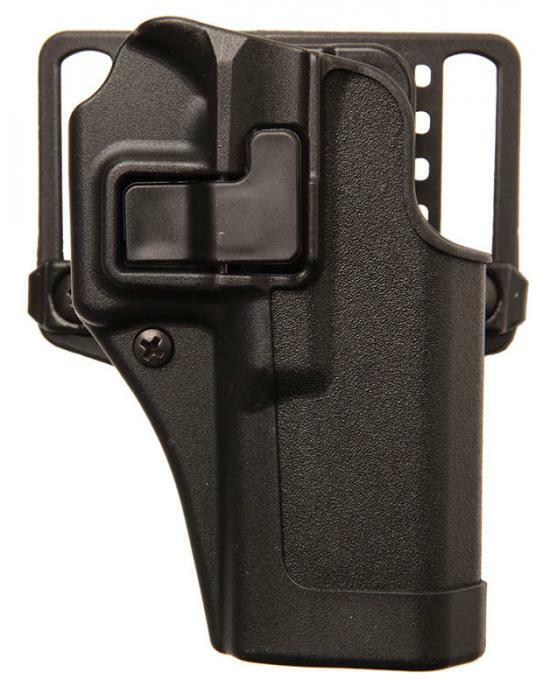 All BlackHawk CQC Serpa Technology holsters come with both belt loop and paddle platforms.